Hand Made Rainbow Moonstone large Studs. 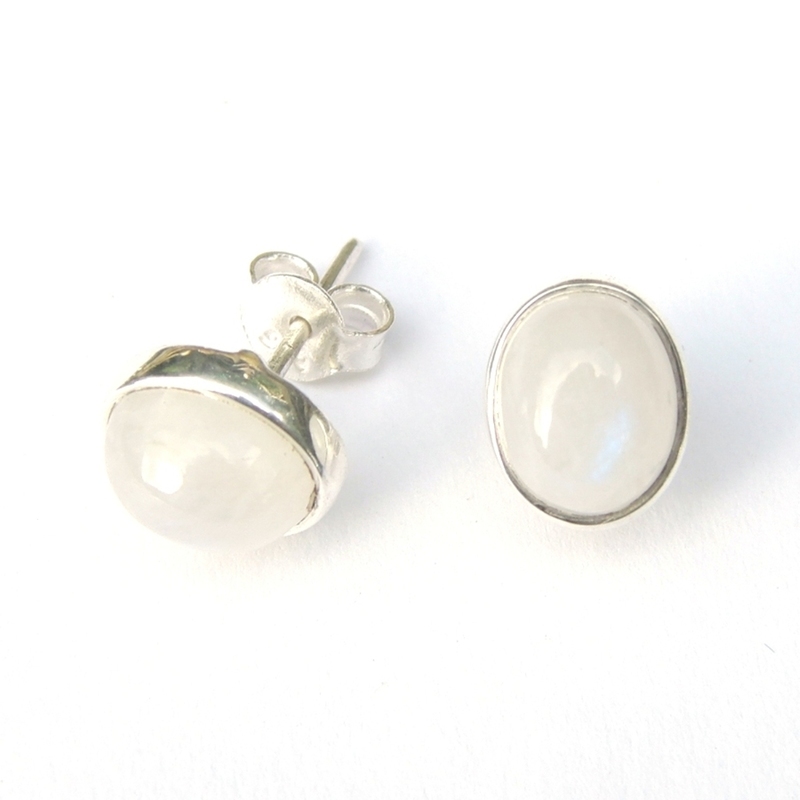 These Stunning Silver Rainbow Moonstone large Studs have Pretty 10mm x 8mm Oval Cabs set in Dainty Silver Surround. This is a really Pretty Dainty design & sits nice & flat when worn. These Lovely Studs are also in stock in many other crystals. This website is strictly for approved Wholesale customers only, if you are looking to purchase these Rainbow Moonstone large Studs from a retail store, please visit Shooting Star.